You receive a warm welcome when you walk into the foyer of the Grace Bible Church of Dallas City located just south of the Dallas City Elementary and Junior High School just outside the city limits. The church is now in its 53rd year and their history book shows only six men holding the position of pastor Rev. Bernard Samuels 1957- 1962; Rev. Roger Dickinson 1963-1966; Rev. Chuck Wisner 1966-1969; Pastor Ivan Mathewson 1970-1981; Pastor Larry Van Gundy 1982-2003; and Pastor Larry Menschel 2004-present. Today, the friendly greeters and active congregation of around sixty are carrying on "a ministry for the Lord" that stemmed from a Bible class that formed in 1956. It was held in the home of Mrs. Dollie Morgan on East First Street in Dallas City with members also from the Lomax area. It was led by Oliver Langmade Pastor of the Gospel Center in Fort Madison, IA, Paul Keakman of Keokuk, IA, then Brother Benjamin De Long of Warsaw. The Bible Class quickly outgrew Mrs. Morgan's home, moved to the Robert Pence home in Lomax where Sunday School and Church were held for a time. This Lomax-Dallas City Bible class unanimously agreed to start a church and to do so, sponsored a week-long evangelical services in the Dallas City Grade School gymnasium in April of 1957. The church family grew in numbers, has built a church and expanded with picnic area, large activity center, and have not only witnessed and taught of the loving salvation of Christ locally and supported missionaries abroad. They began with several Bible clubs and held Vacation Bible School and in the mid "60s established a mission policy to insure consistent support. The "Helping Hands Women Missionary group was started by Pastor Dickinson's wife Donnis, and the Pastor started a Men's bible Study before answering a call to pastor in Chicago. "I remember especially the closeness of God's people in fellowship. I remember seeing our youth group grow in their love for the Lord and desire to serve Him. I also think of the desire to support missions around the world," Pastor Dickinson said. 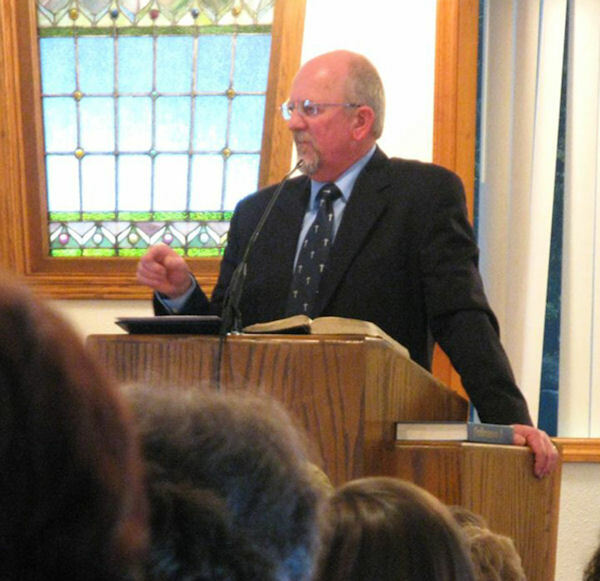 The church established a nursery and junior church program under Pastor Wisner and he trained teachers in Bible Study before he moved on to preach at the Baptist Church on Sunnyside in Burlington, IA. Pastor Ivan Mathewson, a carpenter, expanded missionary giving and helped with the growth of the church thru TELL, a witness and soul winning course. 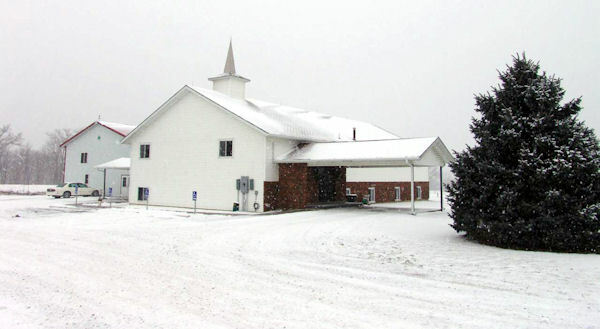 The church grew and land was purchased in 1977 along Route 9 of almost 7 acres and ground breaking was in 1978 with the first service in the sanctuary on Easter Sunday April 1980. The pastor's building knowledge and help of many in the church was in God's planning. In "81 the Mathewsons answered a call to New York. Pastor Larry Van Gundy's 21 year service was filled with "spiritual growth, deepening loving relationships, and building bridges to reach our communities, all for the glory of God," he said. The church saw growth, and saw generosity increase and the building and property was paid off! They enjoyed drama, began an annual bike ride to Nauvoo (17.6 miles), overnight camping and hobo stew or hamburgers grilled and many activities for the youth and the no-so-young as well. Mission trips, preschool, playground, shelter house provided a spot outside the church for fellowship. In 2000 Louie and Eileen Day and five children were asked to join the church as visitation pastor. They were long-time missionaries supported by the church serving in the Ozarks for 40 years. He continues today as an associate pastor and visits nursing homes, those in the hospital and shut-ins. They host senior coffees and senior citizen dinners. After Pastor Van Gundy answered a call in Morton in 2003, Pastor Larry Menschel and wife Ann have been the pastor. With much research and prayer, he was part of the building of a new multipurpose building to use in ministry for recreation and fellowship. The church takes part in the A.W.A.N.A. Program for youth, and with the help of area local groups, they help minister the Food Pantry for the area twice a week. Friendship Banquets are annual events reaching out to neighbors, and Bible Quiz Bowl, Name That Tune and good old fashioned Southern Gospel music. Also, Little Swan Lake has become the site of public baptisms and an afternoon of fun and fellowship thanks to Walt and Norma Franke. The Grace Bible Church welcomes you to join them on Sundays: 9:30 a.m. Sunday School, 10:40 a.m. Worship 5:30 p.m. A.W.A.N.A. and 6 p.m. Evening Service. Larry Menschel, pastors the Grace Bible Church.